We medicate twice a day, taking over 2 hours to do this! Mini gets medication SIX times a day! We also provide prescription diets for a growing number of our dogs. CCR is home to 2 three-legged dogs, another missing her foot due to cruelty and abuse, four blind dogs and another partially sighted only in one eye. We care for four totally toothless seniors including two with broken jaws. Several others missing the majority of their teeth. Currently we have two dogs with Valley Fever, the debilitating and expensive to treat fungal infection who may be in medication for their lifetimes. Only with YOUR help can we provide for these Special Needs animals. ​Your donation in any amount helps THEM. Click above button to learn more! Warning: This goes to a VERY GRAPHIC site. Not for young or sensitive persons. Shop thru Giving Assistant (button below) and a percentage of your purchase will go directly to CCR - at NO cost to you! Just about EVERY store on line that you can think of is linked to Giving Assistant. ​ SIGN UP today and help the animals we all love! 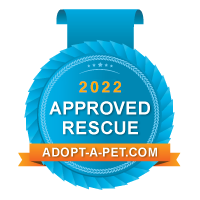 ​Cochise Canine Rescue Specializes in Saving Senior, Handicapped and "Special Needs" animals from euthanasia throughout Arizona. We THANK Rescue Bank, thru Tucson Affiliate "Cody's Friends," for providing us with dog and cat food! Note: We respect your privacy and will NEVER sell or trade your e-mail address! Cochise Canine Rescue is a 100% Volunteer run organization. EVERY PENNY donated goes directly to the CARE of the ANIMALS! Sign up to get interesting news and updates about the wonderful dogs and other critters at Cochise Canine, delivered to your inbox. Max is an amazing dog. While at Cochise Canine, he has saved numerous small birds and a kangaroo rat. Read his heartfelt story by clicking the button below! Cochise Canine Rescue has a NEW coffee mug! Your purchase of a mug or tote or T-shirt supports CCR's dogs! Click button below to go to our Shopping page. Bark Bark arrived 4 years ago, blind with what we were told were inoperable Cataracts. We have been using daily prescription drops to help reduce internal swelling. At her last semi-annual visit on April 1st 2019 with Dr. Meredith of Eye Care for Animals, he found that one eye is responding to light and could have an operation to restore sight! This sweet old lady deserves your help....Please donate TODAY! If we have a dog you are interested in, please fill out the application - click below - and call 520-212-1718. We will check your supplied references and arrange for a home visit. Remember: We only adopt in Arizona! Help BarkBark Regain Her Sight! "A Year and a Half ​With Bina"
Cochise Canine Rescue is working with the manufacturers of Kurunda Beds to get vastly discounted beds for the Dogs and Kitties here at CCR. Please got to our page at Kurunda by using the button below. ​The animals here will really appreciate your help getting a new, wonderful bed! If you have men who will exclude any of God's creatures from the shelter of compassion and pity you will have men who will deal likewise with their fellow men. Please: Consider making a small monthly donation to CCR...the Animals appreciate your support! Every year close to 6 million cats and dogs enter the doors of "shelters" and municipal pounds in this country. PLEASE: DO NOT BUY WHILE ANIMALS DIE! Help us save lives by adopting your new best friend.